This glass cooking surface crowned with two burners and cast-iron grills is pure sophistication. 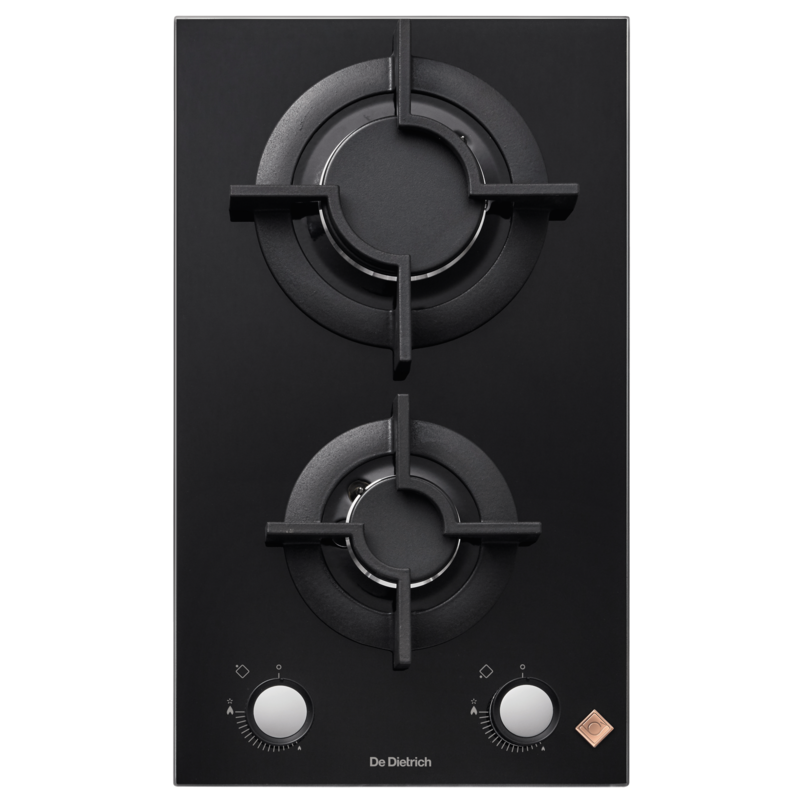 Create endless combinations and take full advantage of the range of available energy options - including gas - brought to you by the unrivalled craftsmanship of De Dietrich! All knobs have been specially designed to offer the highest levels of ease and comfort during use. Adjusting the heat of the burners is an easy and accurate process. To completely secure the domino hob whilst the zones are being cleaned, the Clean Lock feature allows you to temporarily block all commands for one minute. What is more, all induction domino hobs are fitted with 10 security levels which guarantees you trouble-free cooking at all times.